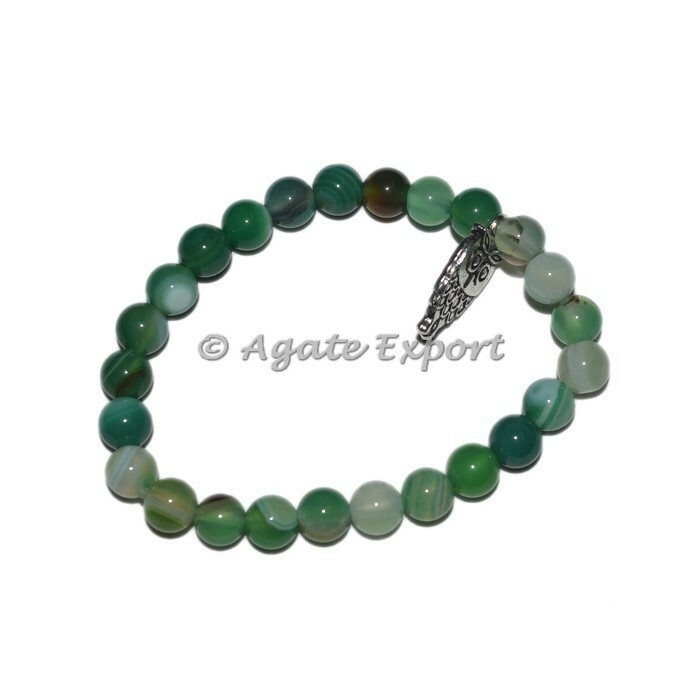 This bracelet is made of faceted green agate stones and banded with owl charm. It is strung on elastic cord which makes this bracelet easy to wear. For change in design of bracelet or stones contact us directly.